The Orion UAS performed maiden flight in August 2013. The Orion UAS will provide intelligence, surveillance and reconnaissance (ISR), communications relay and strike capabilities to the US Air Force. Image courtesy of Sandy Schaeffer-Hopkins. The UAS was manufactured at the Aurora Flight Sciences of Mississippi (AMS) plant in Columbus, Mississippi. Image courtesy of Sandy Schaeffer-Hopkins. The Orion UAS has a maximum range of 15,000 miles. Image courtesy of Sandy Schaeffer-Hopkins. The Orion UAS can endure up to five days. Image courtesy of Sandy Schaeffer-Hopkins. 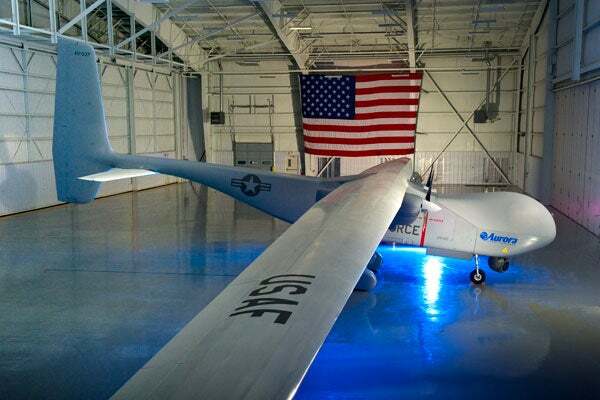 Aurora Flight Sciences developed the Orion unmanned aircraft system (UAS) to provide intelligence, surveillance and reconnaissance (ISR), communications relay and strike capabilities for the US Air Force. The US Air Force Research Laboratory selected the Orion UAS as the preferred option for the first phase of Medium Altitude Global ISR and Communications (MAGIC) Joint Capability Technology Demonstration (JCTD) programme in September 2010. The Orion UAS was unveiled in November 2010 and performed its maiden flight for three hours and thirty one minutes in August 2013. It flew at a maximum altitude of 8,000ft above mean sea level during the flight. The airframe design, assembly and integration of the UAS were carried out at the Aurora Flight Sciences of Mississippi (AMS) manufacturing plant in Columbus, Mississippi. The limit load test on the wing of the Orion UAS was performed in March 2009. The Orion UAS incorporates all-composite fuselage assembly including an integral fuel tank and landing gear components. The wing is of a cantilevered beam structure. The wing spars and skins are made up of composite material, while the ribs are made of aluminium alloys and composite materials. The Maveric is a mini unmanned aerial system (MUAS) developed by Florida-based Prioria Robotics. The unmanned air vehicle has a wingspan of 132ft, and consists of commercial off-the-shelf (COTS) components and universal ground control station (UGCS) interface. The UAS supports concept of operations (CONOPs) from remote areas for multiple intelligence operations. It also creates situational awareness to provide direct support to the troops. It can perform highly autonomous operations and automated on-board processing of the data. The gross take-off weight of the UAS is 11,200lb, whereas the useful payload weight is 2,600lb. The Orion UAS features flexible, open architecture payload provisions for conducting missions in unreachable areas of oceans and areas without infrastructure facilities such as runways and air fields. The payload systems include multi-spectral full motion video (FMV) electro-optic/infrared (EO/IR) sensor, signals intelligence (SIGINT), hyperspectral video and imaging, and wide area airborne surveillance (WAAS). The UAS is also fitted with maritime domain awareness radars and foliage penetration radars. The Orion also features synthetic aperture radar / dismount moving target indication (DMTI), Line-Of-Sight (LOS) and Beyond Line-Of-Sight (BLOS) communications relay, and onboard processing, exploitation and dissemination (PED) capabilities. Aurora Flight Sciences formed a strategic alliance with AAI Unmanned Aircraft Systems in October 2011, for the integration of Universal Ground Control Station (UGCS) and other ground control technologies into the Orion UAS. The UGCS command-and-control platform consists of a digital Tactical Common Data Link to provide greater bandwidth and data security. It simultaneously provides command and control for multiple UASs operated by joint services. "The Orion UAS features flexible, open architecture payload provisions for conducting missions in unreachable areas." The alliance also supports integration of other AAI solutions including the Forward Airborne Secure Transmission and Communication (FASTCOM) mobile telecommunications system and Tactical Sensor Intelligence Sharing (Tac-SIS) system. The Orion UAS is powered by dual FAA-certified heavy-fuel engines. The aircraft is designed to carry payloads weighing up to 2,600lb and can endure up to five days with a payload of 1,000lb. The service ceiling of the UAS is 30,000ft. The maximum and cruise speeds of the Orion are 120kt and 85kt respectively. The UAS has a maximum range of 15,000 miles. The mission radius is 4,000 miles with 24 hours on-station.